Last day of Parliament's Winter Session unlikely to see passage of Bill; ordinance route still not ruled out. The Insurance Laws (Amendment) Bill, which proposes raising the foreign investment cap in the sector from 26 per cent to 49 per cent, among other provisions, couldn’t be passed in the Rajya Sabha on Tuesday, as the House was adjourned sine die on the last day of the winter session. Though the government is planning to take the ordinance route to pass the Bill, sources say it will take time to be implemented. One of the key reforms proposed by the National Democratic Alliance government, the Bill was to be presented in the Upper House first, followed by the Lok Sabha. However, it could not be taken up due to several disruptions in the winter session. According to the Bill, the cap on foreign investment will include all forms of foreign direct investment (FDI), foreign institutional investment (FII) and foreign portfolio investment. “We have been awaiting the passage of the Bill for several years." 'While this time, industry was confident of it being passed, the hurdles are still there. 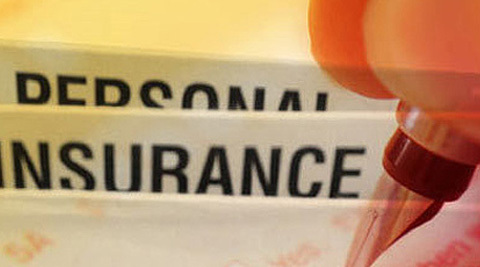 We are hoping an ordinance to this effect will be brought out by the government, at least before the end of this financial year,” said the chief executive of a private life insurer. The Bill also proposes Indian management control of companies in the sector. Officials claim they have observed in joint venture firms, foreign partners influence decisions, adding through this reform, their influence will be curtailed. Senior executives of small life and general insurance companies said foreign partners were waiting for the FDI cap to be raised before pumping in additional capital. “Apart from existing joint venture partners, many large players from Asia have been interested in entering India as soon as the cap is raised. Lack of structured decision-making on this front by policy makers has been detrimental for the sector. An ordinance might be brought out to this effect, but will face stiff opposition,” said the underwriting head at a private non-life insurer. The Bill has provisions for re-insurers, too. Initially, the Bill proposed to allow foreign insurers to carry on the business of reinsurance in India, through a branch office. However, the definition of ‘insurer’ has been widened to include a foreign company engaged in re-insurance business, through a branch established in India. The revised section 45 in the Bill says no claim can be repudiated after three years of the policy being in force, even if a fraud is detected. The minimum capital for health insurance companies will be Rs 100 crore, against the proposed Rs 50 crore. This will mean only serious companies enter this business Health insurance has been defined as contracts that provide for sickness benefits or medical, surgical or hospital expense benefits, in-patient or out-patient travel cover and personal accident cover Indian management control has been proposed. Clarity is awaited on what this will mean and whether there will be a cap on voting rights Insurers can approach the Securities Appellate Tribunal for redressal of grievances against the Irda Section 40A of the insurance Act, which relates to agent commission limits, has been omitted in the Bill. Irda will have to bring out fresh norms for agent commission and caps thereof Several life and general insurers have pre-signed shareholder agreements that allow foreign partners to automatically increase their stake to 49 per cent when the Bill is passed. The chief executive of a mid-sized life insurance company said increasing the foreign partner’s stake would have “more skin in the game” by way of investments in technology, personnel and product innovation. In his interim Budget speech, Finance Minister Arun Jaitley had said the FDI cap in the insurance sector would be raised to 49 per cent, as the sector was capital-starved. When the Bill was first introduced in 2008, the proposal related to FDI faced huge opposition. Various routes were proposed, including 23 per cent through the FII route and 26 per cent through FDI. However, Parliament was unable to arrive at a consensus. The United Progressive Alliance government had considered raising the FDI cap in insurance to 49 per cent without any increase in voting rights. This, however, was not accepted by the other parties. Though up to 49 per cent FDI in insurance and pension was earlier mooted by Pranab Mukherjee (when he was finance minister), a decision on this was deferred by the Cabinet.